Owls Care strives to empower students to be healthy, responsible and successful. We believe in providing students with comprehensive information they can utilize to make safer decisions and minimize risks. This information can be useful for all students, regardless of personal substance-use, to be a caring owl and watch out for your friends. For more details about the services we offer students, click on the links and buttons below. Data from the 2015 National College Health Assessment collected here at FAU has shown that most owls are healthier than you think. 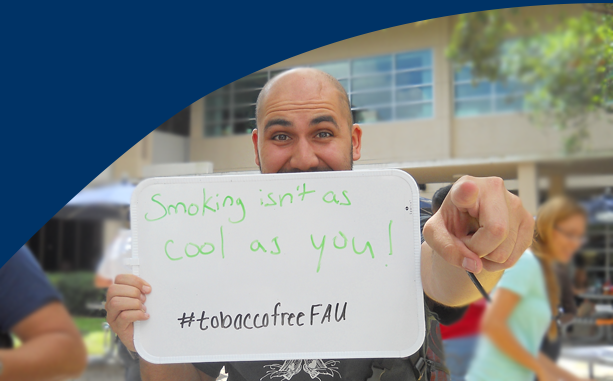 85% of FAU students don’t smoke cigarettes. 80% of FAU students have less than 4 drinks when they socialize/party. 88% of FAU students have not smoked marijuana in the past 30 days. An online education program helps students prepare for the unique challenges and responsibilities of college life. For more information on campus clarity, please click here to learn more. An interactive web survey that allows you to enter information about your drinking patterns and receive feedback about your use of alcohol. The assessment takes about 10 minutes to complete, is self-guided, and requires no face-to-face contact time with a counselor or administrator. Take the e-CHUG now. An interactive web survey that is a brief marijuana-specific assessment and feedback tool. It provides you with insight about your marijuana behavior and risk factors. The assessment takes about 10 minutes and is self-guided making it quick, confidential, and flexible to your schedule. Take the e-TOKE now. If you choose to drink alcohol, reduce your risks by monitoring your Blood Alcohol Concentration (BAC) with our free smartphone app for both iPhone and Android. To download, search for the “Watch Your BAC” app. For more information, visit watchyourbac.com. Examine the college drinking culture. Discuss the consequences of high-risk drinking. Learn safer drinking strategies and methods to monitor their BAC (Blood Alcohol Concentration) to reduce risk. Identify the signs of alcohol poisoning and how to help a friend in need. Participate in interactive polls using iclickers to evaluate their perceptions about college substance use. Challenge myths regarding college substance use. Discuss data collected at FAU regarding substance use among current students. Party 101 educates Greek chapters on ways to be responsible consumers, bystanders, and hosts. It explores the chapter’s ideas, perceptions, and actions involving alcohol in relation to their core organizational principles and values. In depth education about some common drugs used in college-aged individuals and guidance on how to make informed, responsible choices. The Alcohol Skills Training Program is an alcohol abuse prevention program designed for anyone who drinks alcohol. It was developed to promote harm reduction by teaching the knowledge and skills necessary to drink with less risk. It is based on a review of scientific evidence and focuses on alcohol’s effects on the body, as well as it’s more subtle on feelings and thinking. The course suggests ways to learn about your particular drinking style, better understand their own beliefs about drinking, and set goals for changing their drinking, if they choose to drink. ASTP Spring Course Schedule is TBD. Please check back soon! Ready to stop using tobacco? Our office supports the efforts of our students to quit smoking. If you are interested in quitting, please visit the Everglades Area Health Education Center. They offer free 6-week smoking cessation courses that provide group support, coaching, and strategies to quit. The course also includes free nicotine replacement therapies for participants. Click here to learn more about smoking cessation. An FAU student organization for students in recovery from drug and alcohol addiction. The CRC provides a social support system for students to have a positive college experience while maintaining their recovery. For more information, visit: https://fau.collegiatelink.net/organization/crc. FAU offers many evening and weekend activities for students interested in healthy alternatives to alcohol and other drugs. For more information on alcohol-free events, please click here.